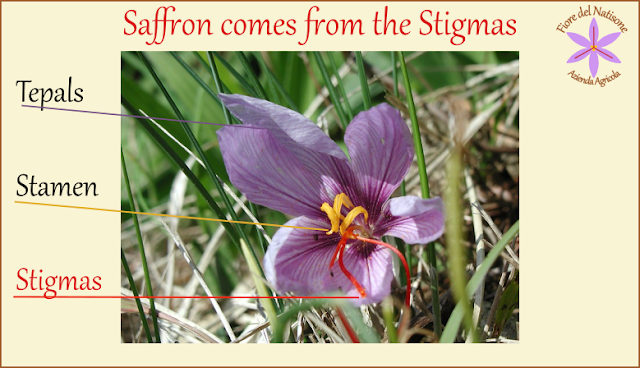 Saffron isn't a spontaneous plant! You can't find spontaneous Saffron in nature! Frequently people ask about Crocus plants blossoming during springtime, trying to understand if spontaneus Crocus can be used for cooking. 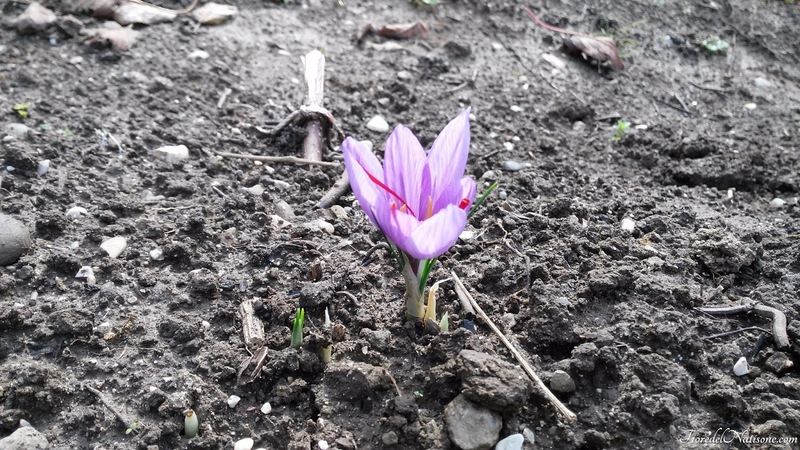 Saffron is a Crocus, BUT Crocus plants aren't necessary Saffron!! First of all: I strongly raccomand to not eat any spontaneous plant if you're not absolutely sure about what is the species and its properties. Use an official guide for identification or ask to an expert. If you have any doubt don't eat anything!!! There are hundreds of Crocus species in nature. Crocus sativus L. (Saffron) is a cultivated one selected for its long stigmas and its great properties. Saffron isn't a spontaneous plant, so it's almost impossible you can find it during a walk, unless it has been sown by man. So no Crocus you can find is good for cooking. Take some photo but don't eat it and leave it where you have found it! Crocus sativus L. is very similar to Crocus thomasii, with which it has been confused in the past. 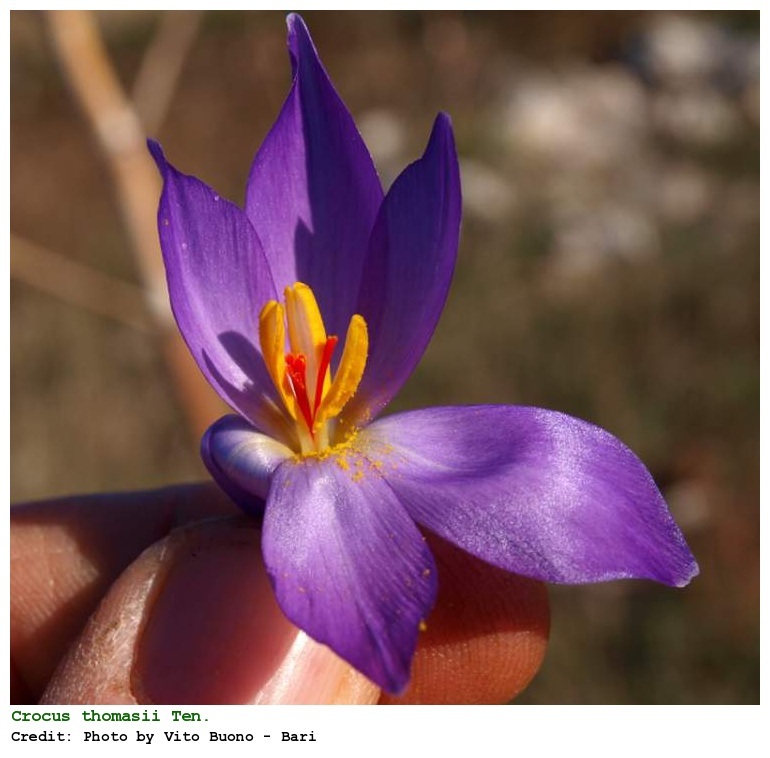 Crocus cartwrightianus has been used for therapy and even this plant is similar to Saffron. C. cartwrightianus and C. thomasii are both diffused in the Mediterranean area. 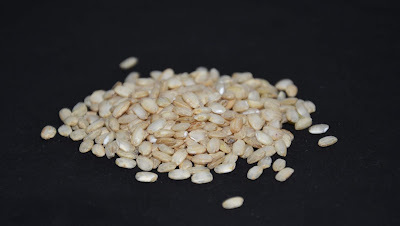 The first is used in some areas as substitute of Saffron: "to each his own". D'you see the differences? Well! The stigmas (red female flower parts) are much different as you can see. Either in lenght and in useful principle content. 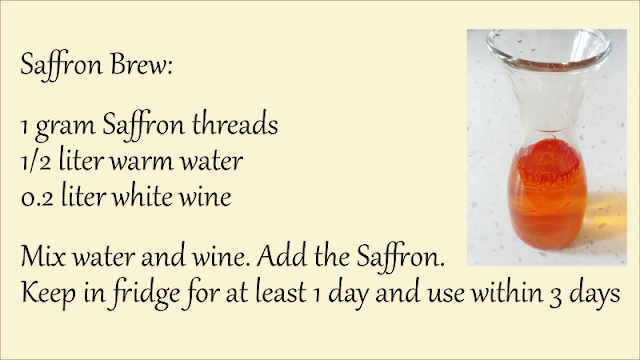 So, I suggest to buy a very high quality cultivated Crocus (Saffron) for your recipes! Consider the other Crocus species only to take nice photos!